Excessive facial hair can be caused by a genetic predisposition or hormonal changes in the body. Puberty is generally the time which can on-set excessive hair production on all areas of body. Some steroid based medicines can also cause excessive hair growth which may be temporary or permanent. However, whatever may be the cause, hair removal remains a leading cosmetic concern and people seek all manners of feasible hair removal solutions. We are crazy about appearing good-looking. No matter what comes our way, we are always on the lookout to attain perfection with our skin, hair and everything else that we connect with beauty. Thanks to time crunches, growing levels of stress and immense pollution, we might be grappled with body hair woes. Since our schedules seem to get jam packed with every day, we might just become too lazy to go ahead with temporary hair removal treatments. Welcome to the world of laser hair removal Mumbai. With Dermatologist Mumbai, your search for perfect solutions for laser hair removal Mumbai ends. With top notch resources and high level expertise available here, this is easily among the best laser hair removal Mumbai picks. Laser hair removal is a process by which experts remove unwanted hair with exposure to laser light pulses on an area. The light rays help in destroying the follicle, thus preventing re-growth in the area again. Laser hair removal is an out-patient door treatment and can’t be administered in a single session. Even though the treatment is FDA improved and not very complicated to perform, if not administered under proper care, it can cause lasting skin damage. Therefore, it is best to avail the best treatment for laser hair removal in Mumbai via experienced and expert skin specialists like Dr. Rinky Kapoor. 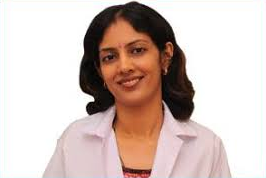 With years of experience and expertise in aesthetic dermatological treatments, she is the best dermatologist in Mumbai to offer laser hair removal solutions. Getting rid of body hair permanently is now possible! Body hair is something that most women try to get rid of. It looks unseemly and is very unattractive. No matter which part of the body it is other than the head, it looks better without any hair on it. Best laser hair removal in Mumbai is something you should certainly think about if you are tired of waxing and shaving your arms and legs every fortnight. The horror of wearing something that shows hair is not something you will have to deal with when you get best laser hair removal Mumbai at The Esthetic Clinics. The best laser hair removal in Mumbai is something that will help you get rid of unwanted hair from any part of the body, whether it is the hands, the legs, the under arms or the whole of your body. The best laser hair removal in Mumbai will ensure that you permanently remove all your unwanted body hair once and for all. Laser hair removal in Mumbai is available at the best skin clinics in your city and is something that you should seriously think of getting done. Removing body hair is not only tedious, it can be expensive in the long run. That is why laser hair removal in Mumbai is such a hit as more and more women decide that they want to say goodbye to unwanted hair once and for all! If you have been dealing with unwanted body hair since you were in school, go ahead and get the best laser hair removal in Mumbai done today, at The Esthetic Clinics!